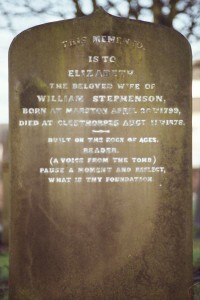 Grave Words: A Love Affair With Victorian Headstones | Unofficial Britain. I’m not sure when my love affair with graveyards began. My Mum sometimes used to take a short cut through one with me on the way home from school but it was always hurried as she didn’t feel comfortable being there. I would have loved to have stayed and hung round the stone angels and columns and read the inscriptions but at the time I didn’t have a choice and so I hurried alongside her. As an adult, of course. I am entirely free to spend as much time in them as I like. Cue my husband once saying on a trip to Paris “Oh for goodness sake, not another bloody graveyard”, as I was spoilt for choice there for wonderful graveyards – the most notable being Pere La Chaise where I paid homage to my beloved Edith Piaf. Happily for me, he has since mellowed or succumbed to a kind of graveyard-related Stockholm syndrome as he can often be found walking round them with me – though he is more likely to be found taking pics of the wildlife you find in them as opposed to the monuments. 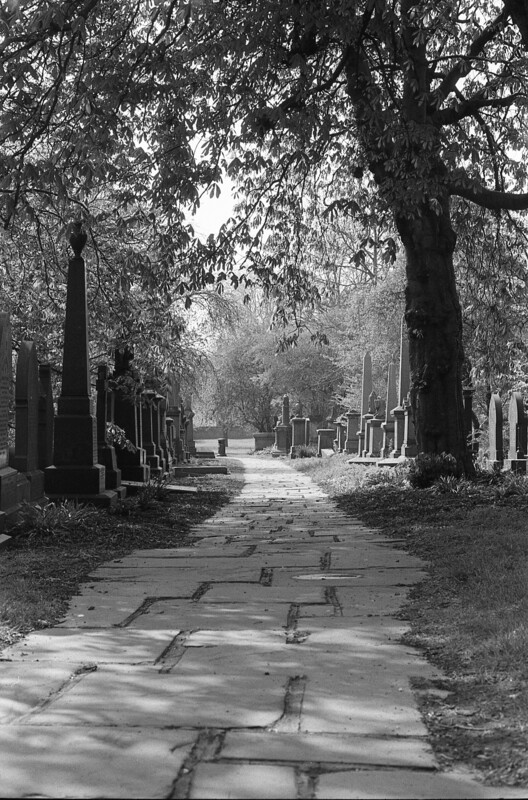 I like the quiet and semi-natural reclamation of Victorian graveyards in particular and I have spent many a happy hour wandering round Undercliffe in Bradford and Beckett Street in Leeds. But my favourite place for quiet contemplation is St George’s Fields in Leeds – the former burial site tucked away in the middle of Leeds University Campus. Active as a burial ground from 1835 til 1969 and home to over 93,000 burials, it has some beautiful monuments and an air of peace and tranquillity rarely found in a city. It is well worth a trip if you have never been. 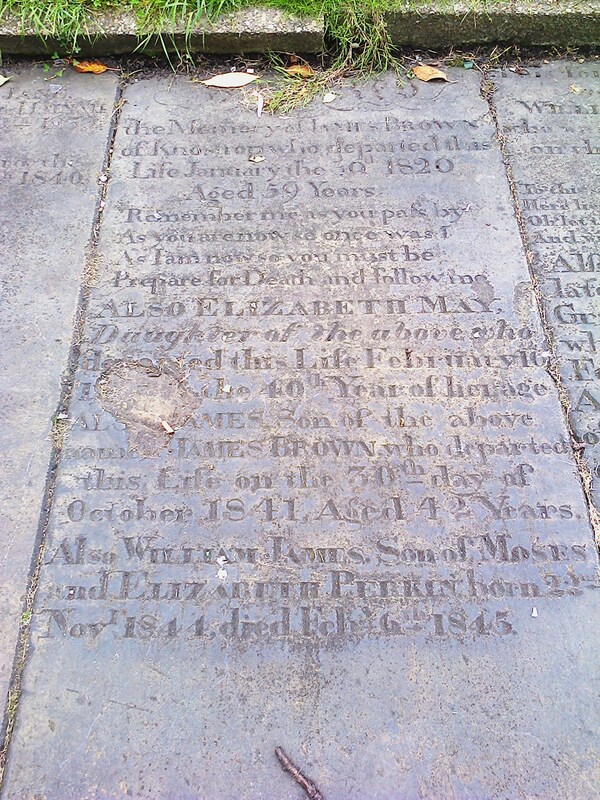 I find Victorian death culture inspiring as a whole but I especially love their grave inscriptions, many of which may seem mawkish and overly sentimental to our cynical 21st century eyes and I have a lot of poems copied down in various notebooks. 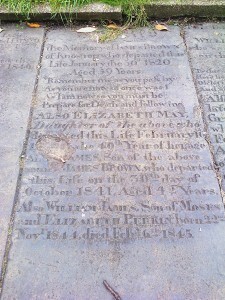 There is a long tradition of poems being written on gravestones but it was during the Victorian period that it really flourished. The notable thing about Victorian graves in particular is their exhortion and plea for you as the viewer to contemplate your own mortality and to make your peace with your God. But the most wonderful one I’ve seen recently was in Cleethorpes Cemetery on Beacon Avenue – which asks you to imagine a voice from the tomb no less. This features on one of the gravestones laid flat in a tiny little bit of green space under the railway line and next to Mecca Bingo on New York Street, just opposite the entrance to Leeds Bus Station. I’m not a fan of graves being laid flat to form pathways. I think it slightly disrespectful to be walking over monuments like that, but I suppose it’s better that way than being destroyed altogether like many monuments were at St George’s Field when it was remodelled into its current garden format. Hundreds of monuments were bulldozed and used as landfill to make the hillocks you see there today. And Others Stand And Stare And Look At Thine. Morticia is a writer and photographic artist with a sideline interest in seaside kitsch. Based in Leeds you can find her on Twitter as @ladylugosi or read her blog here.